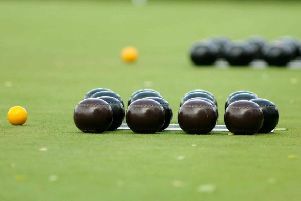 Dales Poultry and Game remained top of the Louth Snooker League after they clinched a six-all draw away against NT Shaw Citroen. Dave Coppin put the visitors in front only for Andre Fisher to level for the hosts. Moving up to joint second after week nine of the snooker season were Sibjon Builders and Harness and Cooper Joiners. Sibjon Builders had the biggest win of the season so far as they thrashed Louth Volks World 11-1, with Bob Barnes, Graham and Dan Smith, Anthony Pridgeon and Dave Johnson all winning for the hosts. Harness and Cooper defeated PH Mountain Cardboard Services 7-5, with Nick Bailey the only difference between the sides. In the other game last week, Louth Building Supplies drew 6-6 with Kitchen Solutions. Derek Adlam and Pete Beeton won for the hosts, but Craig Young and Jordan Tunbridge levelled for the visitors. * In the Louth Billiards League, MA Stephensons Autos remained in top spot despite a 2-1 defeat against Naulls and Dales. Chris Dixon put the visitors in front, only for Phil Marshall and Mark Parrinder to clinch victory for the hosts. In the league’s other game of the week, ABC Riding Wear saw off Moran Travel 3-0, with Terry Espin, Mike Rice and Kev Fenwick all winning for the hosts.